This is a supportive image for the character of Gilgamesh. 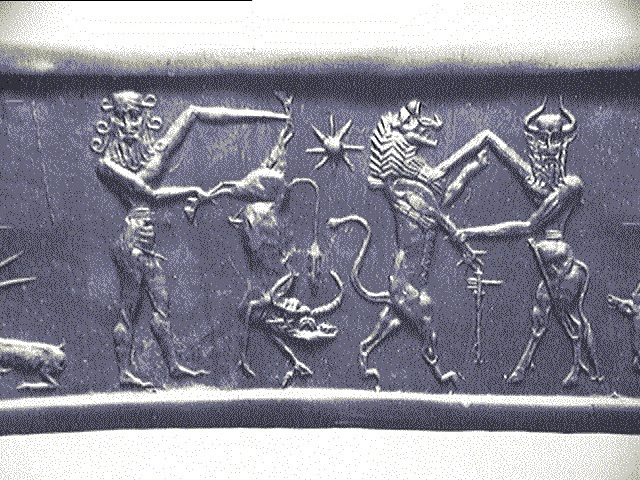 Throughout the many depictions of Gilgamesh bulls are present. In the epic of Gilgamesh the bull of heaven is sent down by Inanna and Gilgamesh destroys him. The bull is considered a symbol for masculinity and strength which the king Gilgamesh possesed and is even described as one in the epic.